A one day presentation course in Farnham outside the town centre on 15 March 2019. 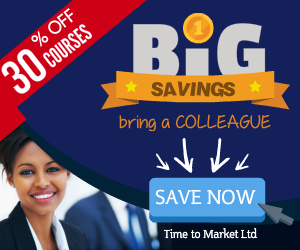 In this course you will learn to understand the essentials of giving a good presentation. So, here’s your chance to boost your presentation confidence. 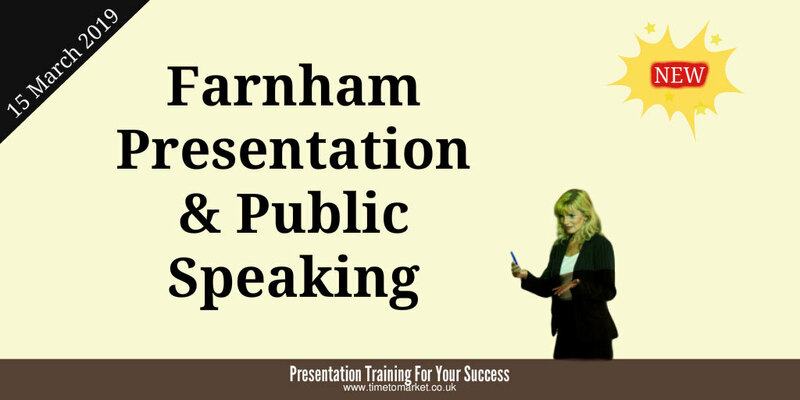 Because you can develop your presentation skills with this Farnham presentation course. The day's course is highly interactive. So, you will practise each learning point as you progress throughout the day. Your training starts at 0900 and finishes at 1700. Thus, it’s a full day with a series of training exercises and presentation expertise. A PresentPerfectTM presentation skills course is designed for professionals, managers, sales executives, team leaders and job interview candidates. Most of our training course participants have some presentation experience. But, it’s fair to say that some are new to the whole experience of presenting. Without self-confidence and presenting skills you won’t step up to the conference podium. You won’t give your presentation. But from experience we know that presentation confidence and skills can be learned. Because that’s what we teach on our courses. So, it’s what you will learn on the PresentPerfectTM public presentation training course. 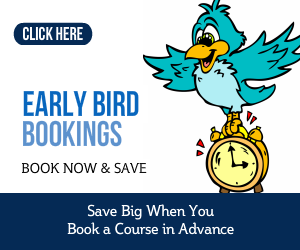 Early bird bookings close on February 14 2019. All Bookings close on March 4 2019. Don't forget that you can always get in touch with us to discuss any training needs.